The best advice-build with us! We got bored by the monotonous high-rises block of flats made from concrete and brick. We want to be closer to nature and to live in a house where there is a scent of the wood. 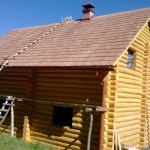 Here the question appears – how to build a wooden house with your own hands? 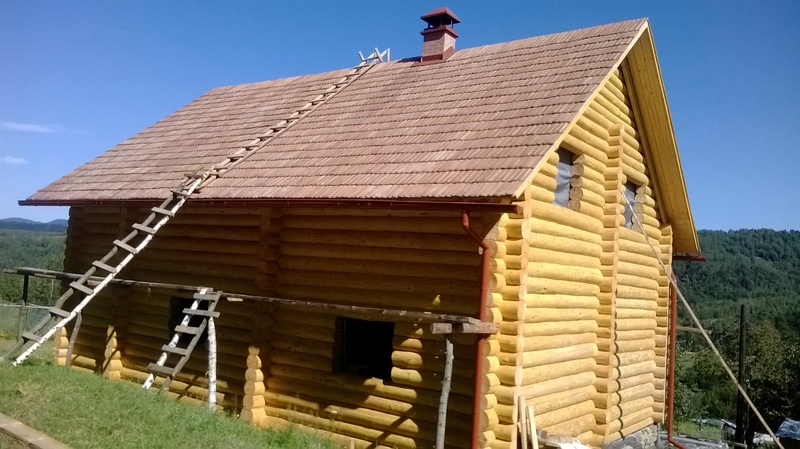 The best advice which we can give you: You should choose high-quality wood in the Carpathian highlands, to pill of the bark manually, treat it with antiseptics and build it with the company Karpaty-Dom! It worth mentioning that low thermal conductivity influences heat and coziness in a house. If we compare a wooden house with a brick one, we may come to conclusion that heat resistance is higher than in a wooden house. 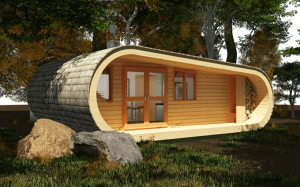 How to build a wooden house on your own? Start your work from creating of the project or choose the finished one. Also you should choose where the wooden construction should be located. The project is the main base of the further building process. You should take care of protection of the materials from the influence of the outer factors: fire, decay, insects. Only in such a way you can provide a cozy house. You shouldn’t save money on the materials. Then you should choose a proper foundation. 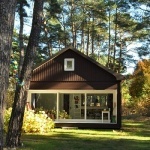 As wooden houses are light you should orient on the ground properties. The foundation can be made of concrete, brick or reinforced concrete. A person who possesses basic knowledge in building can build a house with his own hands. But still, on the certain stages there will be a necessity to ask for help the professionals, because only they know how to do it in a proper way. 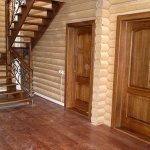 You should take into account that the house should be built log by log. The construction is collected in the other place. The time for adjusting the materials will increase and you will have to do it yourself. The terms of the building process will be increased. But still there are some advantages of working with your hands. You will save money on the building and you will have flexible schedule and proudness. And you might have already understood what problems will you face with. 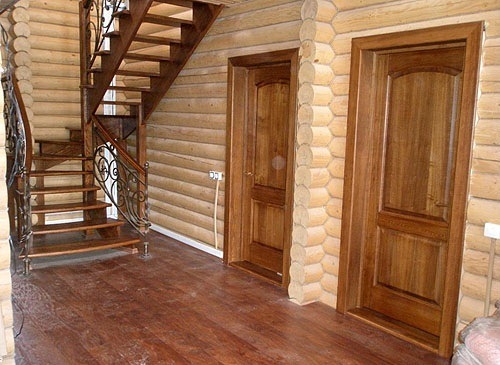 Our company offers you not expensive building of a wooden house from a high-quality materials. On our website you can look through some projects and our other works. 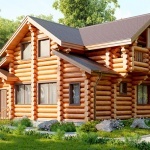 The best workers of Ukraine will built a house for you in short terms!